My one and only OPI nail polish from the Mariah Carey Collection which I got Receive in my Cosmobox last month. I was super excited about it then and knew that I had to swatch it quick. So here it is – Pink Yet Lavender! Since this polish is meant to be a layering polish I chose to swatch it over (from my index finger) OPI Black Onyx, Zoya Dove, OPI Alpine Snow and over my bare nail on my pinky. Pink Yet Lavender is a clear based polish filled with small lavender and holographic glitters and a good dash of rose pink hex glitters. The formula was surprisingly normal for me. I have read on other nail blogs that this polish was a little on the thick side. 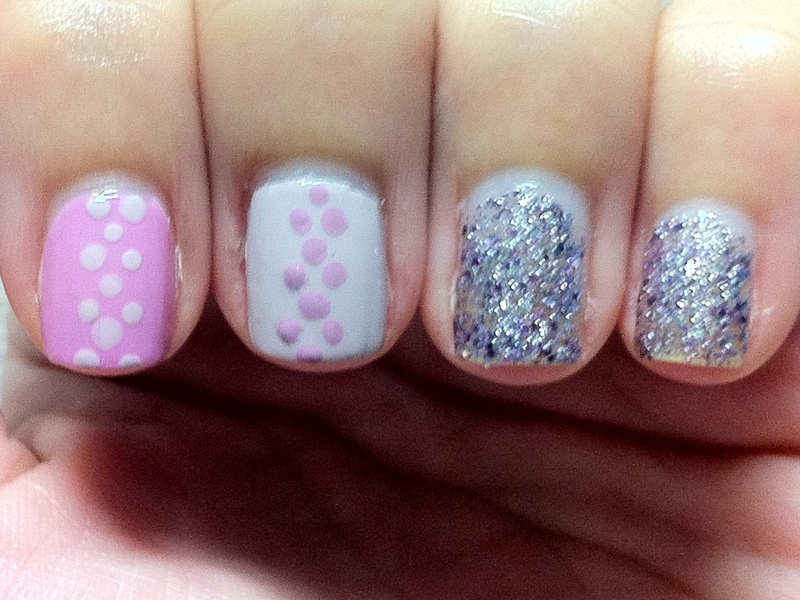 The photo above is one coat of Pink Yet Lavender on all but my pink which has 2 coats. 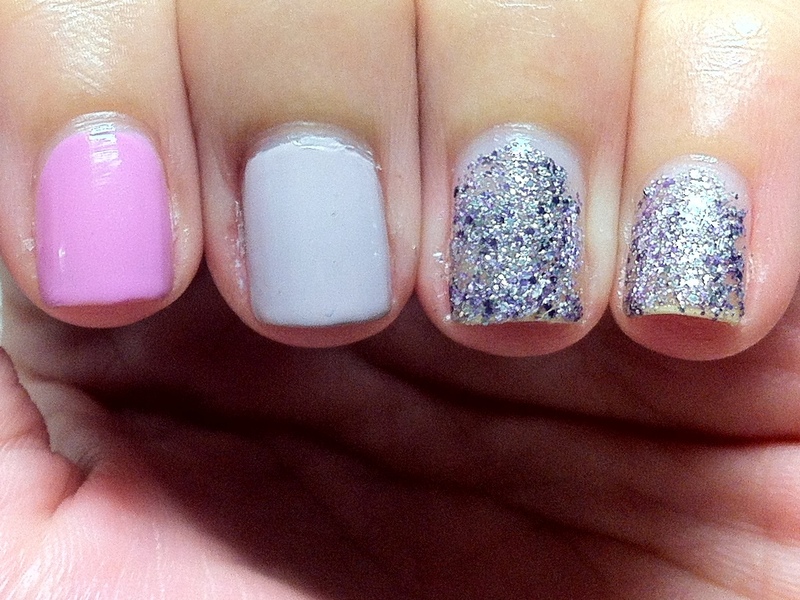 I love how the pink glitters are scarce and the little glitters cover up the space in between the pink glitters. 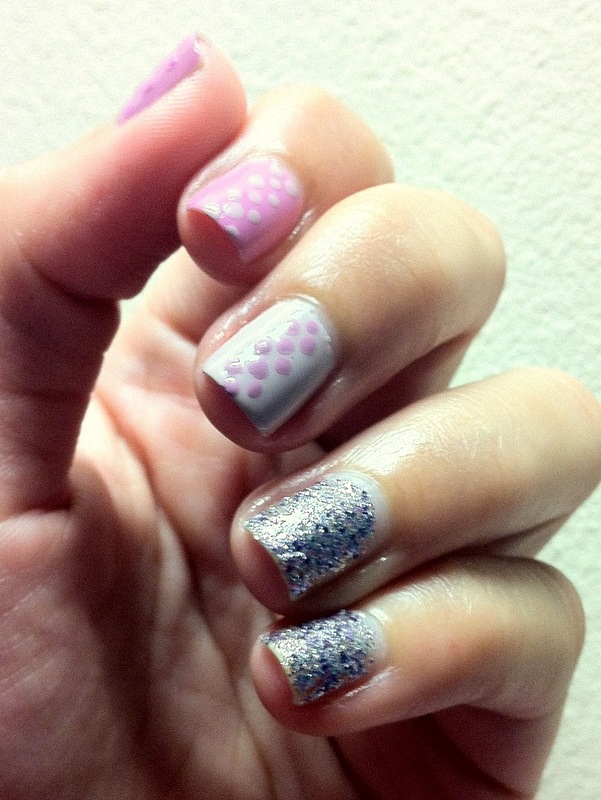 At 2 coats, you can see that there are much more pink hex glitters and that the smaller glitters have filled up the empty spaces really well. 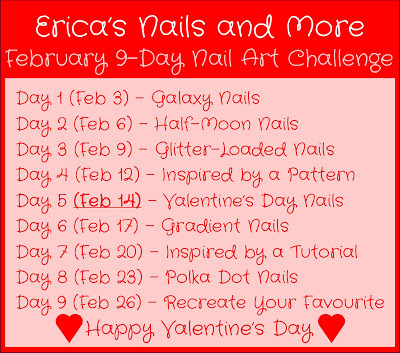 I should do some pink galaxy nails with this polish one day. 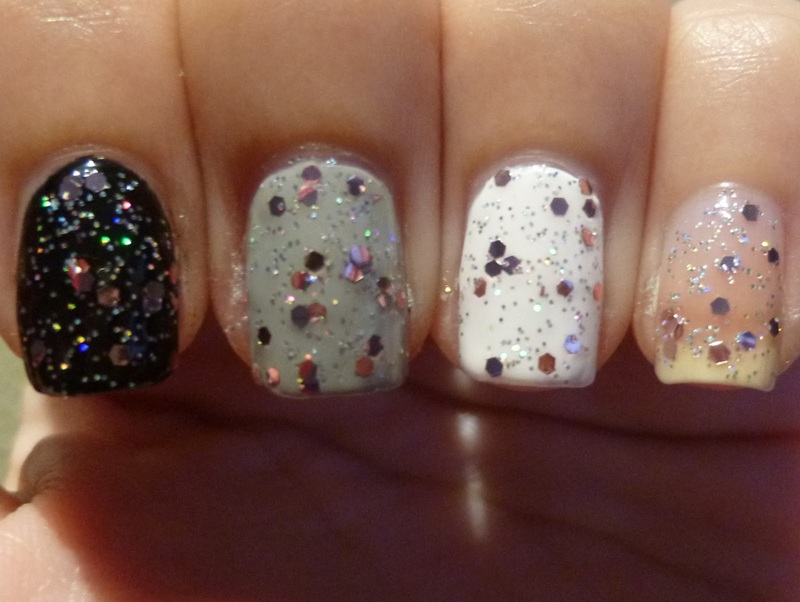 This polish would be the perfect glitter fotr that job! This maybe my only polish from the OPI Mariah Carey Collection but I am definitely eyeing Sprung. It reminds me of a copper version of GoldenEye. Anyone out there has both of them? What do you think?